Among us on our family vacation has been the daughter of my cousin, John. Megan is eleven. She lost her dad when she was eight. John was wonderful, except when he wasn’t. Those of you who have loved an alcoholic understand what I mean by that. He was charming, smart and funny. He was especially adored by young children and women of all ages (my grandmother, in particular). He had so much charisma. 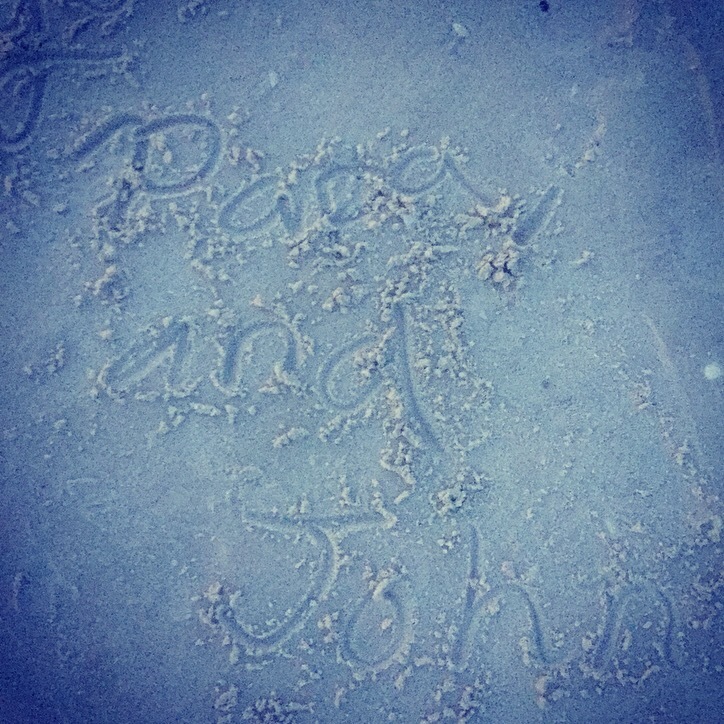 We all mourned John when he died, though sadly, we had many years to mourn his loss before he was actually gone. The disease took him from us long before his death. Megan wasn’t able to process it in the same gradual way, of course, having been so young. I’m sure it felt sudden, and incredibly confusing. We all wish they didn’t have to go. 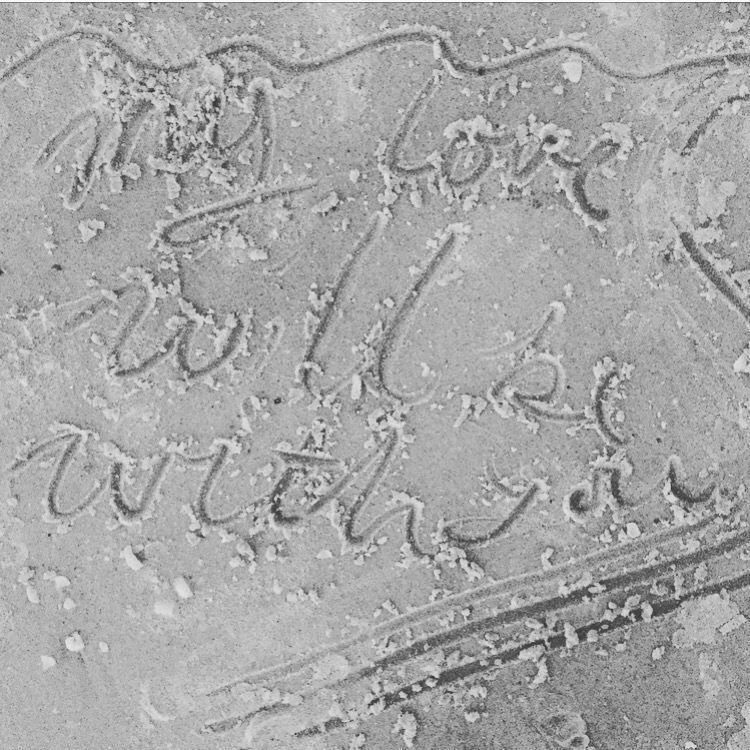 Every night down on the beach she wrote sweet messages in the sand…notes to my dad and her dad. I know it was a healing process for her, feeling this loss together. We were so very spoiled, my brothers and I. We had so much time…and it still wasn’t enough. None of us can ever give Megan that time with her dad – time with that charming, smart and funny guy she deserved to know and love. All we can do is wrap her up in family love and let her know that we understand, that it’s okay to cry; it’s okay to be sad and angry sometimes. Above all I’m so glad that it was reinforced for her that the ones we love will never be forgotten. They were loved and they are loved, always.